Nankeen Kestrel - One of the smallest falcons. They feed on small birds, insects and reptiles. Widespread in Australia, Nankeen Kestrels are found in most areas and are also found on islands along Australia's coastline. 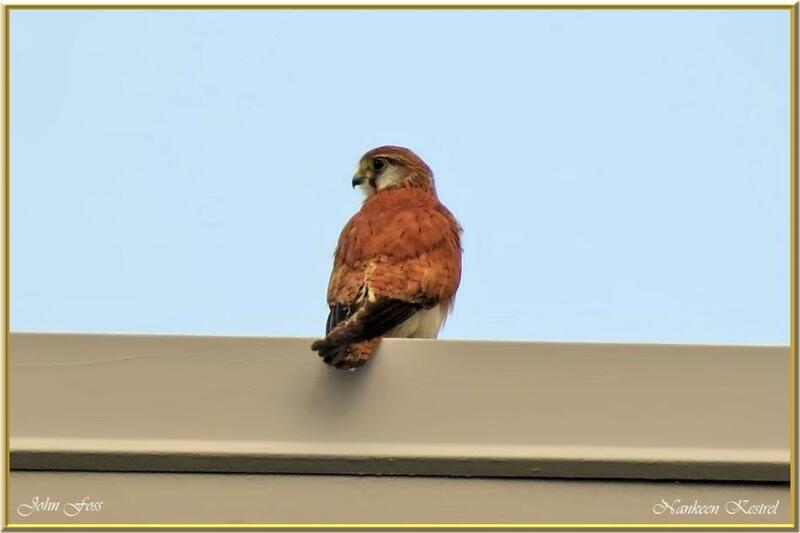 This one was perched on a high building in the center of Bundaberg Australia.